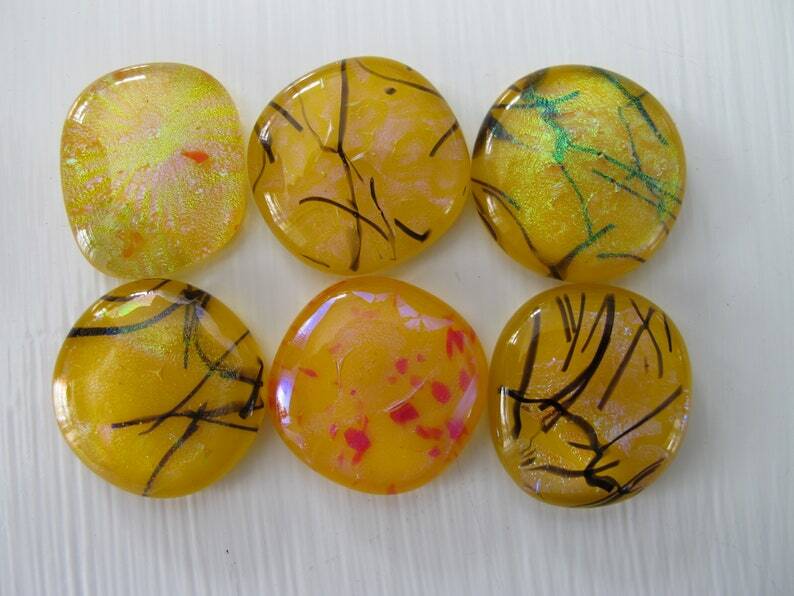 Six yellow freeform, handmade fused Dichroic glass cabochons, for Jewellery making, Stained glass etc. All of the cabs pictured measure approximately between 24mm and 28mm. The cabochons all have dichroic designs accented by the black streaked or red speckled specialty glass. The dichroic effect is subtle and is best seen when the cabs are tilted at different angles.